Now that I am Diamond Medallion I am going for Platinum! Uh what? I hate waiting. I admit it that I am a very impatient person. 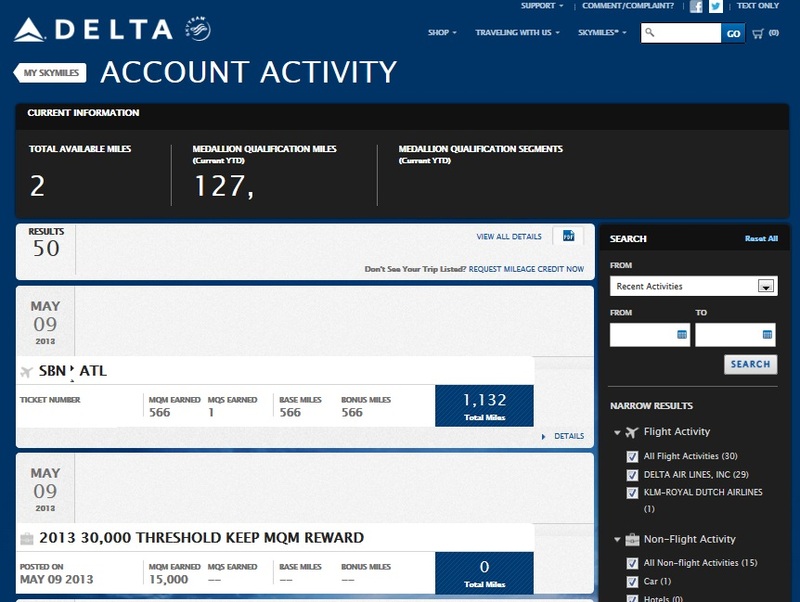 My Delta AMEX Personal Reserve card statement was scheduled to close on the 6th, but delayed to the 7th and then did not post the points to Delta until the 9th and then I was able to log into my Delta.com (directions are HERE) to pick to give myself the 15,000 MQM’s earned. However, as my title of this blog talks about, I have now decided I am going to bite the bullet and do what it takes to make Platinum this year. 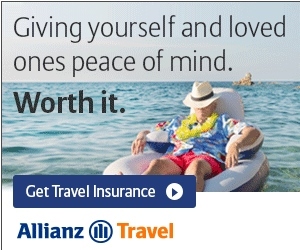 Not with Delta, with SPG! I already have free Platinum with Priority club just from having the Chase PC card and the perk at PC is NOT the same as SPG. Status with SPG has great value and the more I stay at SPG hotel brands the more impressed I get (most times). I already have 16 stays both booked and completed and it only takes 25 stays to get to Platinum status (not nights, stays, there is a difference). I did get 2 stay credits from my Business SPG AMEX card and it has NOW been more than 365+ days since I had the Personal SPG AMEX card so if I want to during my next round I can go for that and get 25,000 points after spend and 2 more stay credits (you can hold both and get 4 credits a year this way). What has made this so much better for me is the change SPG made to allow point nights to count as stay credits. I always try to burn points whenever I can as I have way too many points and more and more keep coming in. Sure I try not to waste points, but most times I would rather spend points than cash (or at least points and cash)! With just 9 stays to go I may look at adding a few nights after or before my mileage runs I have booked for the rest of this year (5 more MR’s booked for the year). I also may change some of my booked PC stays over to SPG to get it done. PS – Check back at 1:PM for SWAG Saturday! Why not do a platinum challenge? You’d only need 18 nights in 3 mths and it can be retroactive. @VGP – As I am sure you know SPG will not status match PC Plat and I only stay at hotels about 2 days a month so trying for 6/month is way to much to do for me. I’m also PC platinum and not so happy with it. Stated at Intercontinentals in Hong Kong and Singapore and was not allowed lounge access! At SG they wanted to sell me Ambassador status for $200 to get a room with access! In HK they would not upgrade me to a room with harbor view! I had to pay for the upgrade (I really wanted it as it was my first time in HK). Platinum works well at Crowne Plazas where you get lounge access. But not at Intercontinentals. 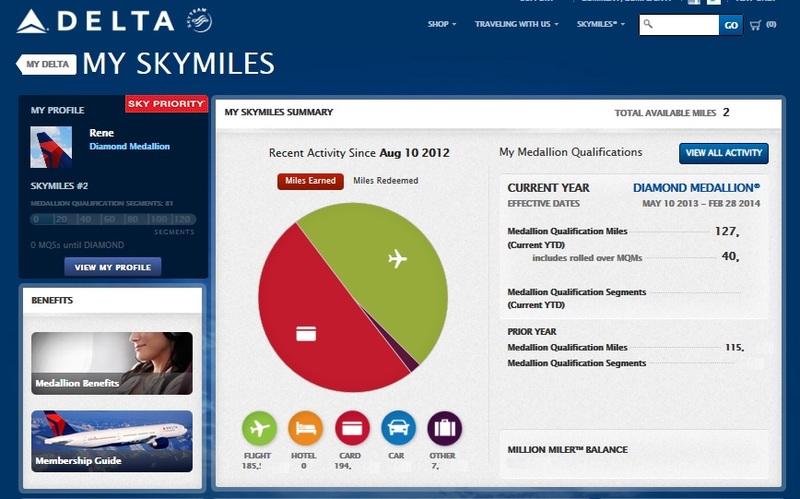 Rene, a question outside the subject, I have the very old Delta Option no fee cards since 1992, i was told i was approved to upgrade to Gold, Platinum or Reserve for i think 10,000 bonus miles for Gold and 15000 for Platinum , am i better off going for the Gold for now and I am sure after 13 months they,ll offer me another upgrade then i can go for Platinum and next for Reserve? Since this way ill end up with more bonus miles? PC [is not good], if one does not stay in hotels often, get the citi reserve card with Hilton. Last year I had the Amex Plat and the MQM’s automatically posted to my account when I hit the spend threshold. This year I have the Reserve. Will the MQM’s automatically post to my account, or do I need to take the steps above? Thanks. @Keyser – if you do pick who you want to get the MQM’s they will at some point (I think year end) automatically dump into your account. I prefer to pick ASAP to know the points are applied when and where I want them. The MQM’s post with each threshold that is met. When the first is met, you’ll have to again answer the question of “what do you want to do with these MQM’s?” Then the subsequent MQM postings will follow accordingly when the thresholds are met. I hope that helps. 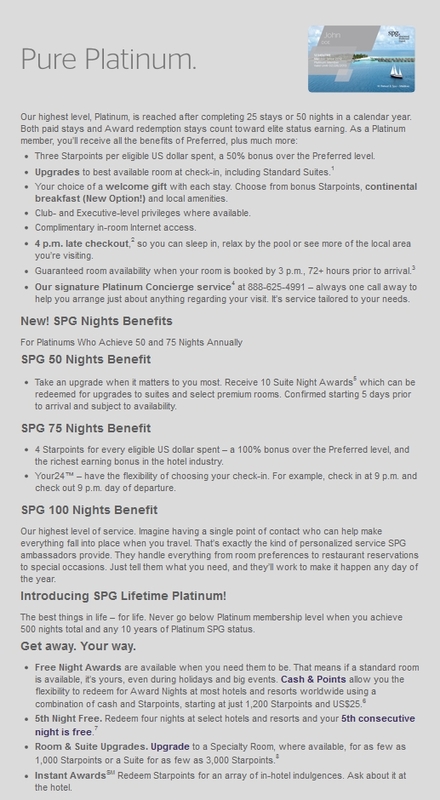 I do not know much about PC these days, but SPG Platinum has great upgrade benefits. You don’t get any more points than Gold nut you often get upgraded to a suite, which is technically not available at Gold level. With 50 nights you get 10 Suite Night Awards, which allow you to reserve a suite in advance, if available.